At CQI, we strive to support coffee communities that know how to produce quality coffee, are linked to a market that recognizes quality, and values it accordingly. That is why CQI has launched the Q Processing Program, which certifies stages of competencies around coffee processing. Through this program, CQI will provide a highly scientific and technical approach to processing coffee that improves quality, standardizes procedures, increases competitiveness, reduces risk, and creates a system that can be trusted throughout the supply chain. 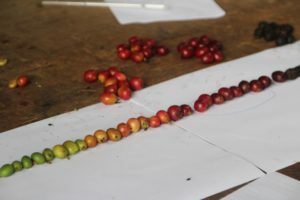 At its core, this program works to lift status of trained coffee processors who are able to add value through differentiating coffee through processing techniques. Adding a formal training and certification scheme to this important topic will contribute to and push the entire industry forward. Develop core competencies of coffee processing for different actors in the supply chain, including mill operators and managers. Provide a deeply scientific understanding of coffee processing to consistently improve quality and reduce risk. Encourage students to find the best practices for their conditions based on a quality control system. Supply knowledge and tools to improve daily work and increase competitiveness in the market. Support the industry by expanding upon our network of trusted, skilled professionals to become the standard for coffee processing. We envisage an industry where coffee buyers are informed with a scientifically founded basis for understanding and communicating about processing with their producing partners; Where professional coffee processors have the knowledge to streamline product consistency, innovate to improve quality, and manipulate coffee flavor in a controlled and predictable way to add value to their products; Where expert processors act as conduits to the scientific community and push the science and research forward in an informed and applied method. The Q processing program aims support this and has pioneered the system to train these coffee processing professionals. CQI now adds professional recognition for these students through a credible and reputed certificate for trained general, professional, and expert level individuals. The Generalist (level 1) course of this program aims to empower the consuming side of the coffee value chain to understand the language of, the basic biological principles of, and the intricacies and challenges of safely and consistently processing quality coffee. This course focuses on standardizing vocabulary around coffee processing and describing the scientific fundamentals behind good quality processing practices. This level also serves to analyze and interpret several myths about processing that have become commonplace in the industry. This course will train a new generation of informed coffee buyers, roasters and retailers, to know what questions to ask about their coffees and understand and appreciate the complexities of coffee processing. 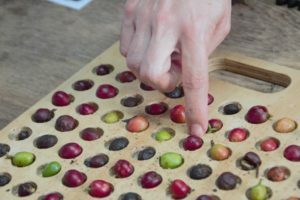 The Level 1 Generalist course has great potential to build a solid foundation within the coffee industry to inform discussions about value in coffee processing and build knowledge of the value of processing differentiation. This level is completed in a 2-day course and is pre-requisite for the following levels for students who do not work on coffee processing at a farm annually. The Professional (Level 2) course of this program is aimed at individuals who have had significant hands-on coffee processing experience through multiple harvests. It will add focus and depth to scientifically founded best practices and enable students to build new value within their products. This class will not only end in a certificate for those passing the exams, but the building blocks of knowledge necessary to understand the fundamentals of manipulating coffee flavor through processing. 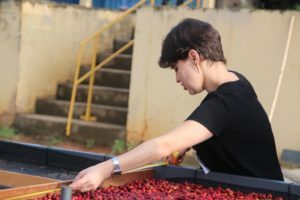 These Professionals will have the skills to intentionally use different processing methods to achieve distinct flavor profiles and learn principles and techniques to minimize risk, variability, and improve coffee quality through processing. This course is taught in the field, during the harvest season, and is a hands-on and collaborative learning experience fit for the practical needs of the producing side of industry. This certificate will foster a new type of respected and valued career within the coffee value chain, providing valuable and needed capacity building within our coffee producing communities. The Expert (level 3) course will build a new category of coffee processing expert. The study to earn a level 3 certificate is planned to encompass an entire year and include both remote and in-field learning, instruction, group projects, experimentation, and testing. The program is for students who are experienced, work processing coffee, and would like to be able to have the ability to move an 84 coffee to an 86 by understanding how to manipulate processing. An Expert in the Q processing program is a true leader and innovator within coffee processing, and not only comprehends the scientific work being conducted in this field, but regularly contributes to them. 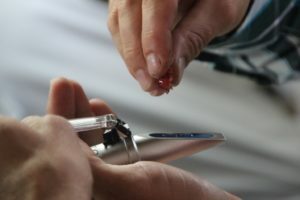 Experts who hold a level 3 certificate will be asked on continually be contributing to the study of this field in order to maintain their credential. The first expert course is being planned for 2019. 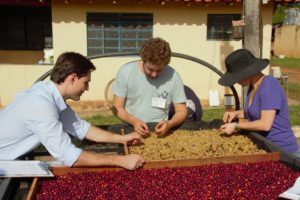 Instructors for this program have been selected, trained, and mentored by CQI and represent some of the brightest minds in coffee – people who are committed to supporting a sustainable supply chain through standardized processes and economic incentives. CQI will continue training instructors to best meet each region’s challenges. Please see the Q instructor web site for authorized QP Instructors. For printable versions of this information in English CLICK HERE, for Spanish CLICK HERE.